T.E.N. 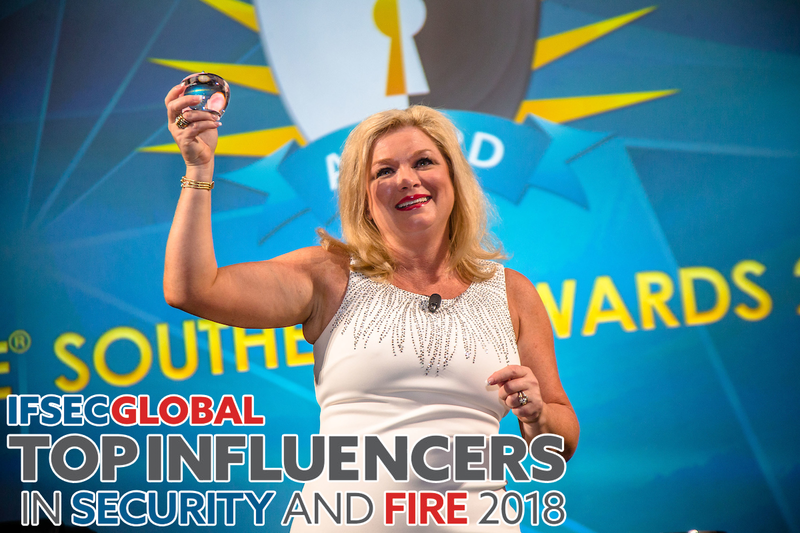 's Marci McCarthy Named One of 2018's IFSEC Global Security and Fire Influencers | Company Newsroom of T.E.N. 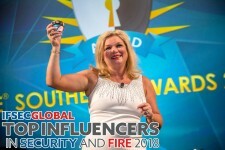 ATLANTA, June 27, 2018	(Newswire.com) - IFSEC Global revealed their prestigious list of Global Security and Fire Influencers for 2018, and T.E.N. CEO and President, Marci McCarthy, has been named as an honored member of this list. Furthermore, within this overall list are seven specific categories, and McCarthy was also named #3 of 20 in their Cybersecurity Category. McCarthy has made great strides in the business, entrepreneurial, cybersecurity, and technology realms, including founding T.E.N.’s flagship program, the Information Security Executive® of the Year (ISE®) Program Series and Awards. Grant Lecky, co-founder of the Security Partners Forum, led the evaluation of nominees as head judge. Lecky was originally featured in IFSEC Global’s list of top influencers in 2014 and 2017. He appointed this year’s panel of judges, coordinated the nominations, and facilitated the judging process alongside Bonnie Butlin, also co-founder of the Security Partners Forum. IFSEC Global’s panel of judges evaluate all potential candidates with a critical eye, measuring them against significant key factors in being an “influencer” such as: driving technological innovation; compelling changes in regulations, standards or best practices; possessing widely respected insights/opinions which are influential in shaping industry discussion; being instrumental in the success of the organization or business they lead; helping raise the industry’s profile; and much more. T.E.N., a national technology and security executive marketing and networking organization, facilitates peer-to-peer relationships between top executives, industry visionaries and solutions providers in the cybersecurity industry. Nominated for numerous industry awards, T.E.N.’s executive leadership programs enable information exchange, collaboration and decision-making opportunities for Information Security Executives and cybersecurity solution providers alike. Its flagship program, the nationally-acclaimed Information Security Executive® (ISE®) of the Year Program Series and Awards, is North America’s largest leadership recognition and networking program for security professionals. T.E.N. delivers ISE® Private Dinners across 42 major cities throughout the U.S. and Canada to create even more opportunities for Information Security Executives, professionals and security solution providers to Connect, Collaborate, and Celebrate. For more information, visit www.ten-inc.com. IFSEC Global is a leading provider of news, features, videos and white papers for the security and fire industry. Preeminent in the UK with a truly global audience, they cover developments in long-established physical technologies – like video surveillance, access control, intruder/fire alarms and guarding – and emerging innovations in cyber security, drones, smart buildings, home automation, the internet of things and more. With the help of the industry’s foremost thought leaders, IFSEC Global also examines the latest developments and best practice in disciplines like security management, counter-terror and fire-risk assessments. From vendors and system integrators to security professionals who buy, manage and operate fire and security technologies, IFSEC Global caters to the full supply chain. IFSEC Global draws on a long pedigree in the security and fire sectors. IFSEC International, which is run by the same group – UBM – that owns IFSEC Global, launched in the UK in 1972. FIREX International, IFSEC’s fire-safety-focused sister event, launched later on. Now a truly international brand, IFSEC has regional shows in India, Southeast Asia and the Philippines. For more information, visit https://www.ifsecglobal.com.